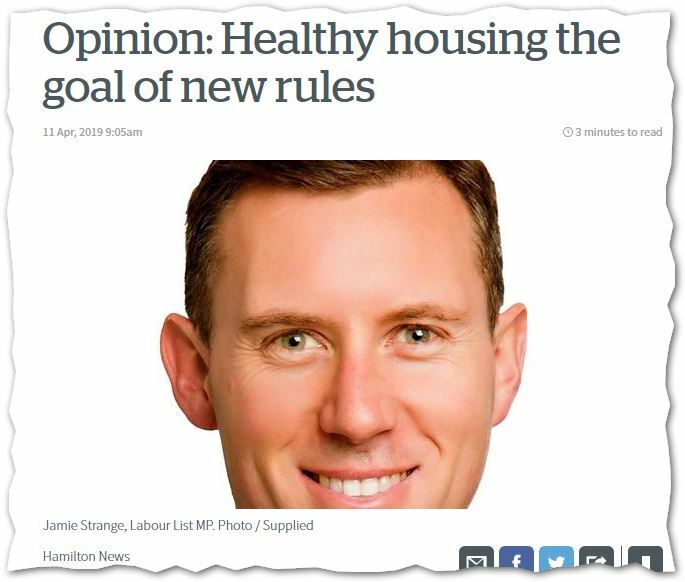 11 April 2019 Opinion: Healthy housing the goal of new rules | Sustainable Engineering Ltd. Seriously. Housing is very expensive due to a lot of factors in New Zealand and this results in demand for a place to live in no matter how bad it is. You can have a house with violent neighbors with rotten windows, no heating system and literally wet carpets from rising damp and it will still rent out for some high fraction of market rent. I’ve grown up with capitalism and I’m happy with a moderate form but depending on profit motive to make houses warm healthy and dry is idiotic. Just like food preparation places need to meet minimum standards to serve food rental housing needs to meet minimum standards. I won’t go into how our current NZBC is not a reasonable minimum here but I’d point it out.